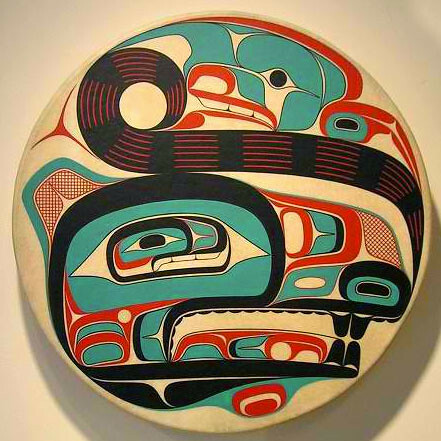 Haida are the indigenous people of the Pacific Northwest Coast of North America. I don’t know much about them, but I do know that I am absolutely fascinated with their artwork. I’ve always been a sucker for bold lines and solid colors. 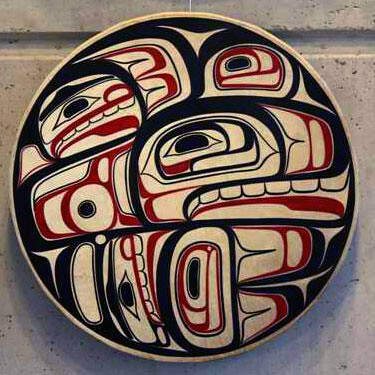 And The Haida People are masters at it. Back in the summer of 2000 I embarked on a solo road trip from where in live on the Central Coast of California all the way to up Vancouver Canada. This was before I owned a digital camera. Somewhere I have a shoebox full of photos from that trip and in those photos I have some Haida Totem Poles that I came across. Back then I knew I liked the artwork, but I didn’t investigate to find out anything about it. 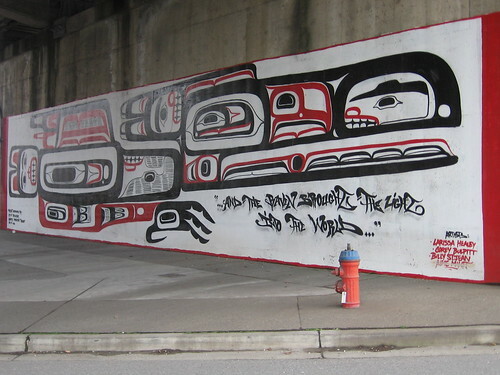 It was just a couple of weeks ago that I actually learned the term “Haida” and ever since I’ve been scrolling through Flickr and Google Images trying to satiate my appetite for Pacific Northwest Art. I could easily post a lot more, but the discovery is part of the fun, so if you’d like to see more just check out the links on the post.